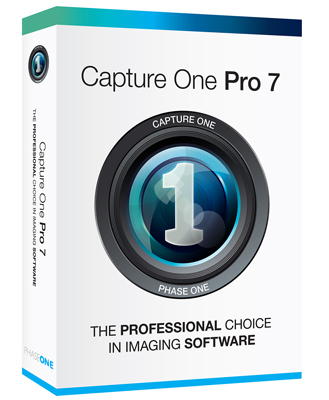 Capture One Pro 7 http://www.phaseone.com/capture-one is an extremely powerful raw software converter featuring a comprehensive set of tools to help create stunning results from your image files. Capture One’s performance and Image workflow sets it apart from any other imaging program I have used. With its fully customizable workspace, I am now able to process image files faster and can produce images with improved noise reduction, higher dynamic range and superior clarity. 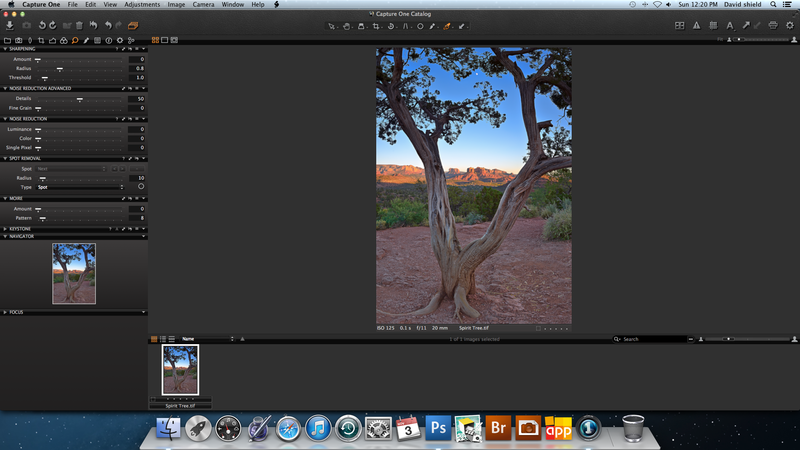 This is because Capture One Pro has created a new and groundbreaking image processing engine. With its new Bayer Interpolation Method, it will allow you to achieve vastly superior image quality with excellent color and fine detail from your camera’s raw files. 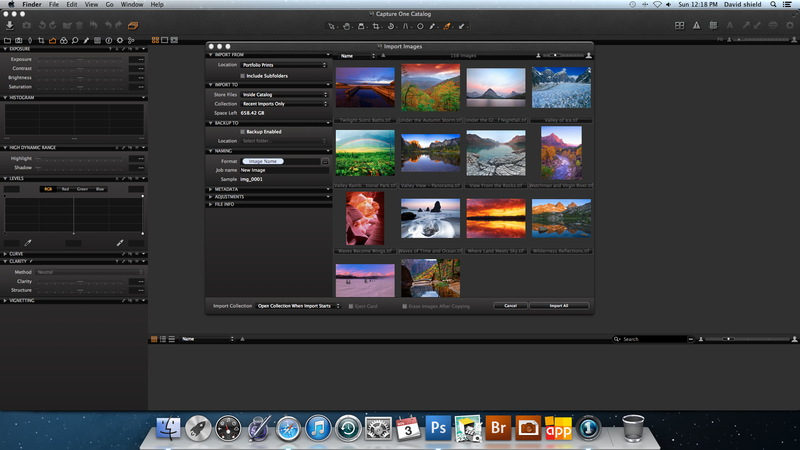 Importing image files in Capture One Pro is a breeze. Connect a card reader to your computer, insert a memory card and Capture One Pro will open the import window automatically. Image files can also be imported from your computer by clicking open the image and choosing Capture One from the program list. My preferred method is to click on the down arrow located in the top left corner, as shown in the screenshot below. The Import Images dialog box will open. Here you will select the location from where to import your files, fill in the desired fields and press import. The exposure window screen is one area where Capture One really shines. This is where image exposure can be improved dramatically in a few simple steps. Using the High Dynamic Range tool, I have been able to correct extreme highlights and recover detail in deep shadows faster and more accurately than with any other software. The powerful Levels and Curve tools can be used to fine-tune exposure while the Clarity and Structure sliders will add punch and brilliant detail to each image. Phase One states that the Color Tool Tab and its functionality should always be the cornerstone of your image editing workflow. Here, Capture One Pro provides a set of tools to adjust colors that are designed to produce stunning results more efficiently than ever before. 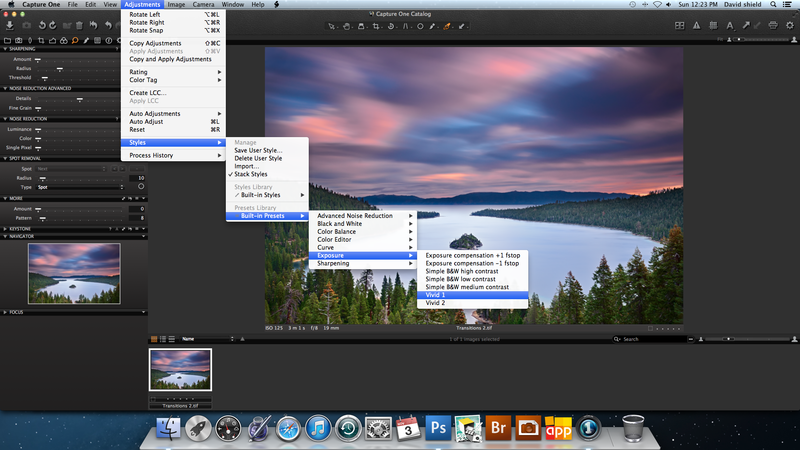 Essential tools such as White Balance, Color Balance and a Histogram are found in this window. The powerful Black & White editing tool allows users to create stunning black & white images. The Color Editor tool will fine tune color in your images, and this is where the magic happens. Selecting the Basic Tab and color picker allows users to click on a specific color in an image to modify. When the View selected color range box is checked, only the color affected by any adjustments will be visible. In the screenshot below I used the color picker to select the blue area of the balloon. Selecting the Advanced Tab allows users to adjust the most narrow color spectrum without affecting other colors in an image. For this screenshot, I placed the cursor over the Color Editor Icon to highlight it. Drag To Reorder appears in the pop-up box, allowing users to customize the interface to set up a workspace for a particular job. Capture One Pro offers a set of built-in presets similar to ones found in other image conversion programs. Presets can be found by clicking Adjustments>Styles, from the main menu. Even though most Capture One users will prefer to choose from the extensive adjustment tools available, individual presets can be applied alone or together very effectively, especially if a job needs to be completed to meet a deadline. Photographers with Photoshop experience will already be familiar with the Sharpening tools found in Capture One. The Noise Reduction Tabs found in this window provides yet another indispensable feature found in Capture One. The Noise Reduction tools will allow photographers to shoot using higher ISO settings with complete confidence knowing they will be able to produce noise-free images with superior clarity. To export a processed file, go to File>Export and choose either the Originals or Variants option. 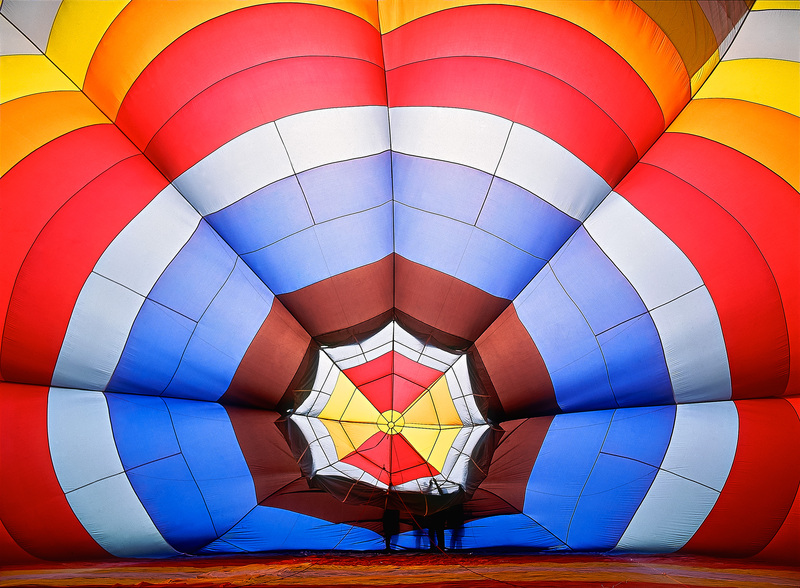 Choosing Export Variants will export the processed version of your image file. The Store Files drop down menu will appear. Choose a location where your image file will open and complete the image output options, as desired. 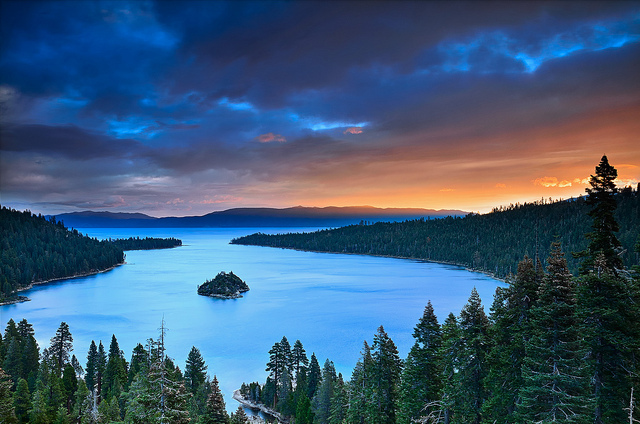 Before deciding if Capture One Pro 7 was the right choice for me, I processed several images using four popular raw software conversion programs currently on the market. 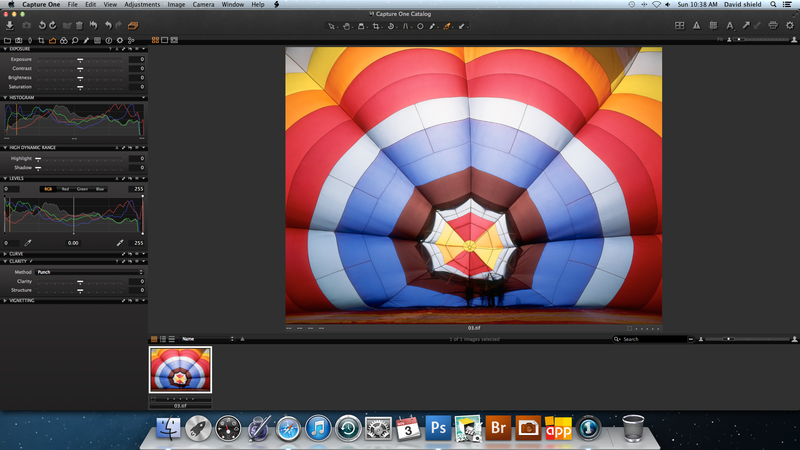 These were Adobe Lightroom 5, Capture One Pro 7, DxO Optics Pro and Oloneo’s HDR+RAW software. While I was impressed by Capture One’s user customization options, ease of use and processing speed, there was one factor that elevated the software above the competition. A Landscape image is often judged by the quality of color and light captured. Capture One consitently produced the most accurate and dynamic light and color rendition of all the four programs. While Capture One Pro contains more features than Express, the latter can still very much hold its own, offering most of the powerful features found in big brother. Professional and advanced amateurs will require the ability to use layers, a feature only available in the Pro version, but users who already own Photoshop will easily be able to continue making any necessary adjustments within that software. Owning both Capture One Pro 7 and Photoshop is the ideal situation. However, if I had to start over and was able to choose only one program, I would use Capture One exclusively. Not only does capture One Pro give me the ability to produce the best possible images from my raw files, but it is also available at a price much easier on my wallet than the full version of Adobe Photoshop. Phase One is currently offering a free 60-day trial of Capture One! Taking advantage of this offer is a fantastic option, and one that made me realize what an indispensable tool this software is. Capture One is compatible with both Windows and Mac operating systems. This entry was posted in Commentary, News, Photography, Product Review, Workflow and tagged capture one, how to, image converter, landscape photography, phase one, photography, product review, raw, review, software, travel, workflow on November 17, 2013 by davidshieldphotography. I wanted to begin 2013, with an image that contains both meaning and emotion. On December 19, 2012, I became a United States Citizen, so I knew that I wanted to post an image of one of America’s most iconic views. However, I felt even more emotion after the tragedies that recently took place at Sandy Hook Elementary School. My thought was to name this image ‘Iconic Peace’ wishing that one day peace will become as iconic as the beauty of nature we have become so happily use to. As I have written on my website ‘About’ Page; my intention and hope is to bring people together through the beauty of nature. On this cold morning, there were no clouds in the sky to dramatize the scene. As I could not settle on a less photographed composition, I decided to wait until a good part of the mountain peaks were bathed in sunlight. I attached a polarizing filter to my lens, and turned it until the color was at its most vivid. Although rather chilly, it was a perfectly calm morning, and I was able to capture yet another version of a perfectly mirrored Teton Range. This entry was posted in Commentary, News, Photography, Travel and tagged alpenglow, color, dedication, grand teton national park, morning, mountains, new year, peace, reflection, sandy hook, sunrise, the tetons, wish on January 4, 2013 by davidshieldphotography.